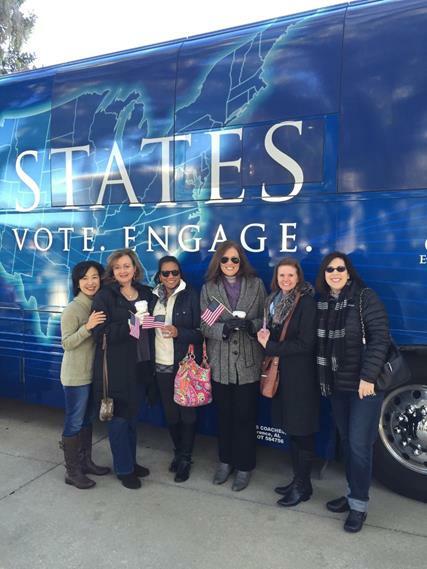 Our newest CWA of Florida Tallahassee Prayer/Action Chapter leader, Hae Min Yang, coordinated with several women to meet at the historic state capital in Tallahassee and attend the Decision America Tour put on by Franklin Graham earlier this week. There were nearly 4,000 people in attendance at the gathering on the cold, crisp morning. During his hour-long speech, Graham encouraged Christians to visit the polls this election season and to form prayer groups. As a newly formed CWA Prayer/Action Chapter, these were very encouraging to the CWA ladies. Do you live in the Tallahassee area, and would you like to attend their next meeting? Contact me today, and I will let you know how. Have you ever considered starting a CWA Chapter? Contact me today to find out how easy and fun it is!